The North West London Eruv has transformed Shabbat. There are more families going to Shul than ever before and there has been an unparalleled boom in the number of Jewish schools. There really has never been a better time to be Jewish in London and at the heart of this change was the establishment of the Eruv in February 2003. For this enhancement to Jewish life to continue, the North West London Eruv needs your ongoing support. 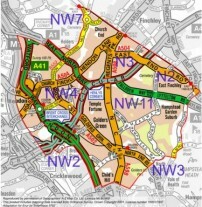 The North West London Eruv is inspected each week. It is important to check each and every week that the Eruv is intact. At no stage should the Eruv be taken for granted, especially when planning an activity dependent on carrying. Become an Eruv Partner or Sponsor and you will receive updates of the Eruv status by text message and/or email.